With dsIDXpress (our WordPress IDX plugin), you can load property search results on a post or page with a relatively simple URL structure. The URL structure always starts with /idx. So if you’re domain name is johndoerealestate.com, the dsIDXpress “virtual” pages would always start with johndoerealestate.com/idx. …of course, you’ll want to replace “Irvine” with whatever area name you’re trying to pull up. Once you’ve decided what area you want to pull listings from, you can then start to add additional parameters to that URL structure to produce a more narrowly defined search results. First: You want to define your are type and area name. 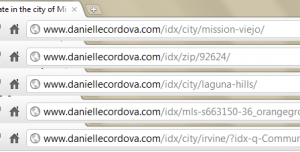 In my example, I did: /idx/city/irvine. Second: To insert your first parameter, you want to add a “?” before inserting your initial parameter. Third: To separate from one parameter and the next one, you’ll separate them using the “&” symbol. 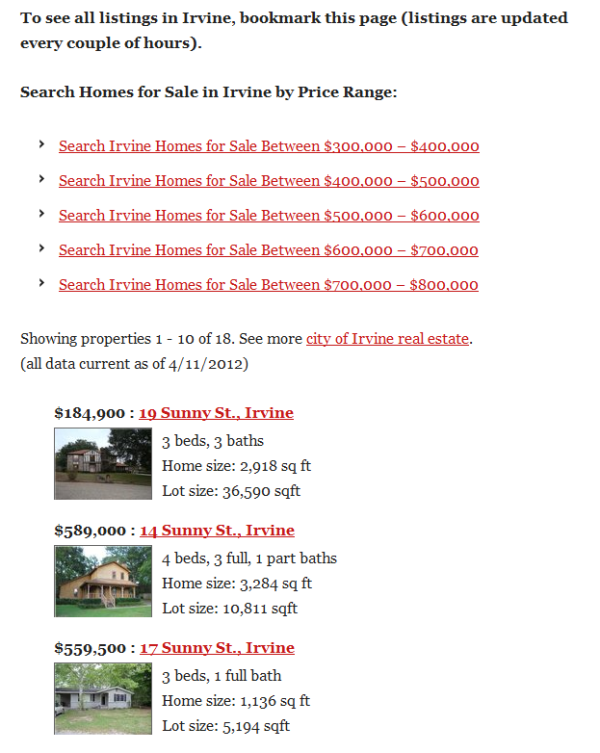 So let’s say that we want to pull up listings in the city of Irvine between $300,000 and $400,000. First, we’ll need to find the parameters for defining a minimum price range and a maximum price range. Once you’ve determined the link-structure for a certain set of search results, you can link to that content in your sidebar or in the body of your content. The great thing about this is that you can have a tremendous amount of links within a very compact space. The benefits here are that in addition to displaying the short-code on a page, you’re also linking to additional listings within the body of the content so you’re giving your site visitors an easier way to search listings by price range, and you’re making it easier for search engines to crawl and index the additional links on that page. How are you using filtered URL’s with dsIDXpress? Can you filter listings by a certain set of office ID’s and cities? thanks Richard! nice strategy to save time and hassle for visitors. how do those pages do SEO wise? Ricardo, do you envision a time when the DS map will fit on a page with a side bar? Alternately, do you know of a plugin or page design that would allow for columns or a sidebar under the map? Thx. Hmm… J Shortcodes should work in terms of being able to add content in a two column (or multiple) layout. I’m not sure if it works with listing content like the dsIDXpress shortcode though – I haven’t tested it myself. 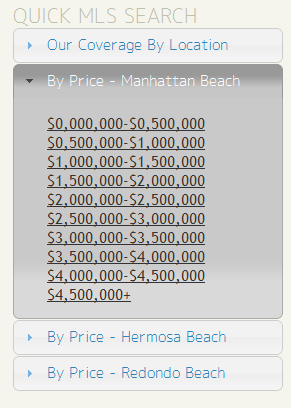 It would be nice to have part where it shows properties filtered. The IDXPress is really weak from where you can take it. We should be able to have the same filters or authority like we do on the mapping side. Not sure why were are limited.